Your cover letter has the power to separate your application from the pack, but it can also hurt your chances too. Avoid these 8 common cover letter red flags, however, and you’ll be landing interviews soon. For aspiring job applicants, cover letters are a make-or-break document. An employer’s perception of you after they’ve read your cover letter can be the difference between scoring an interview and being stuck on the job hunt. What, then, should you do if your application has “red flags”, such as career changes, gaps in employment, or past termination? Should you address red flags in your cover letter, if at all? Here are some practical tips about how (or how not to) address eight of the biggest red flags in your cover letter. You’re worried that your past career changes will be viewed unfavorably by employers who may see them to be a reflection of your restlessness, fear of commitment, or past troubles in previous positions. Reaffirm that you’re qualified for the job – While you may have job hopped in the past, your previous experiences have made you completely qualified for the job. Reassure the employer – Those qualifications you earned job hopping? You’re going to commit them to the success of this company for the long term. If you’re looking for a job in new industry, these tips will help your hunt. You’ll notice that these two goals primarily put emphasis on the needs of the company, rather than your own. This is because your cover letter should ultimately focus on how your past professional experiences and skills—whether in a different industry or otherwise—will positively contribute to the company you are applying for. This will involve communicating how you plan to use your past skills and experiences to address the job criteria, and to add value to the company. You should just do this briefly in the cover letter, and use a Career Change Resume Template to provide further details of your career changes. If you’re a Stay at Home Mom or Dad looking to reenter the workforce, you should definitely promote your professional value in a cover letter. Check out our Stay at Home Mom Resume to get some handy tips about effectively selling your experience as a stay at home parent. In summary, drawing links between your unique background and skills, and your capacity to fulfill the job requirements will allow your career changes to be seen as an attribute, rather than a red flag. Wondering how to craft an impressive cover letter? Our step-by-step Cover Letter Guide will make you a cover letter expert in no time! Once you’ve read through our guide, head to our ever-popular Cover Letter Template Library, and make a free cover letter from a wide range of stylish templates. You’ve finally tracked down a job which aligns well with your skills and experiences, and have put together an application which is sure to impress. The only problem is that the job is in another state. You’re willing to move for it, but you’re scared that won’t be enough to convince employers to read your application from beginning to end. Reassure an employer that your need to relocate isn’t a red flag by directly addressing this concern in your cover letter. Regardless of whether you want to move purely for the job, or you’ve already got plans to move, the most important thing to remember is to be pragmatic, but sincere in your explanation. Here are the 3 major reasons for moving for a job, and the specific approach you should take to address each one in your cover letter. Moving for the job or for family? Your reason for moving will impact what you should write on your cover letter. If you plan to move purely for the job, say it. What better way to convince an employer of how enthusiastic you are to work for them than to be willing to pack up your bags and move for the opportunity? Of course, enthusiasm only won’t cut it. You’ll still have to convince them that your application is comparable to those of more local candidates, so don’t be shy highlighting your relevant attributes in your cover letter. If your family and friends are based in the job’s location, draw on this to demonstrate how the location is in fact ideal. You explanation should emphasize that you already have plans in place to move there. By communicating substantial reasons you want to move besides from the job opportunity at hand, you will cast aside any doubts the hiring manager has about your willingness to move, and whether you’ll be able to handle the sea change. If there’s another reason why you want to move, such as your desire to try something new, make your explanation succinct. Focus on illustrating the ways in which your skills and prior experiences will be of value to the company. Give the hiring manager a reason to overlook the initial difference in location. Make them believe you’re worth the effort. Remember, the hiring manager primarily wants to know why you’re a good fit for the company, not the other way around. Shaping this red flag in a positive way will ensure your postcode won’t stand in your way to getting your dream job. Worried that the employer will want to meet you in person? Don’t be—in the year 2016, it’s perfectly acceptable to interview over Skype etc. Just be sure to emphasize your constant availability in your cover letter! When a hiring manager receives a cover letter, one of the first things they look for are gaps in employment. While a few months between jobs usually won’t ring any alarm bells, anything longer needs to be addressed in your cover letter. So what should you write if your employment history is patchy? The solution depends on the reason behind your employment gaps. If you managed to work in some capacity, mention how you used your time productively to become a better-rounded employee. It all comes down to strategically packaging your employment gaps in your cover letter. If you’re wanting to get back to work after taking care of your kids, check out our Stay at Home Mom/Dad cover letter. As touched on in Red flag 1: Career changes/Job hopping, Stay at Home Mums and Dads should most certainly utilize their cover letter to highlight their professional value, even if they’ve been out of the workforce for many years. Our Stay at Home Mom Resume gives some handy suggestions of how to approach a job application if your employment history has gaps due to taking care of a child. It’s your choice to specifically address your personal/family accident or illness in a cover letter. If you do choose to address it, keep your explanation matter of fact and leave out specific details. Emphasize that your primary objective now is to leverage your skills and experiences in the role. If you stayed up to date with industry trends, or furthered yourself professionally in any way during that period, bolster your application by mentioning this as well. The best approach to handling being laid off in the past is specifically addressed in Red Flag 5: Laid off, so read through that section thoroughly if you’ve been laid off. If there’s a noticeable gap in your CV due to the months or years you took off to travel, use your cover letter to sell it as an experience which gives you an edge over other applicants. You can do this by covering the tangible and relevant skills you developed on the road. Arbitrarily listing your deepened cross-cultural understandings, communication, negotiation and planning abilities won’t impress, but linking them explicitly to the skills the company is specifically seeking, will. 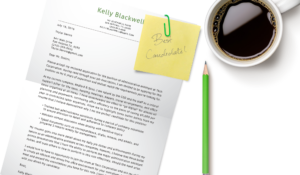 Want to see how an industry-specific cover letter looks like? Browse through our sample cover letters to get inspiration for formatting your own cover letter. There are dozens of cover letter examples from over 15 industries for you to check out! You’re afraid that once an employer catches wind of your past termination, they won’t be able to look past it. You’re determined not to let your past firing get in the way of your dream job, but you don’t know how to go about it. Don’t bring it up at in your cover letter. Career experts recommend you don’t mention past terminations at all in either a cover letter or resume. Why? Employers take a very black and white view of firing. You may hope that they consider the nuances of such a situation, but it’s unlikely they will. Don’t fret, however. A termination doesn’t need to be a deal breaker so long as you’re strategic about when you bring it up. The best time to give a potential employer an explanation of what happened is at the interview stage. Unlike writing about it in your cover letter, bringing it up at your interview will allow you to give a more thorough and well-thought out explanation to a hiring manager. While honesty is the best policy for many red flags, in this case, delaying your explanation is fundamental to ensuring your application is given the fair chance it deserves. If you really do feel compelled to include your termination on your cover letter, make to keep it very brief. Brevity will ensure your termination doesn’t dominate your application and overshadow your accomplishments. Being laid off was difficult enough, but now it feels like it’s haunting you in your hunt for a new job. How can you make employers look past it so that you’re on equal footing with other applicants? The majority of experts recommend waiting for the interview stage to address a layoff, noting similar reasons to those regarding termination. However, there are some experts who favor mentioning it explicitly in a cover letter. They reason that because being laid off isn’t an employee’s ‘fault’ per se, it won’t be seen in a negative light by an employer if duly explained. While this is true, we’d have to agree with most experts that it’s best to keep your layoff off your cover letter, unless particular circumstances dictate that you should include it. You don’t want to risk a layoff being the deciding factor why an employer favors another candidate over you. With such a volatile economic climate in recent years, employers are becoming increasingly empathetic to cases of being laid off. You may even luck out and meet with an employer who understands first hand about having a layoff in their work history. In any case, there’s usually no reason that you can’t save talk of being laid off for a face-to-face conversation, so stay tight-lipped until then. You’re proud of your previous self-employment, but you’re cautious that employers may question why you now want to return to the regular workforce. What’s a previously self-employed job applicant to do? Hone in on your transferable skills in your cover letter. Highlight how you will utilize the skills you developed during your self-employment to support the position requirements and further the company’s goals. Professionals with a background in self-employment have a number of desirable skills to offer employers. Leverage these skills in your cover letter to give yourself an edge over your competitors. Previously self-employed professionals have a ton of skills they can use to give them a competitive edge. No idea where to start? Begin by reflecting on your self-employment and identifying the particular skills you utilized to perform company duties. If you’re after some ideas, Chron lists creativity, self-discipline, business knowledge, and ambition as some major attributes of self-employed professional. After, draw links on your cover letter between such skills to the requirements of the job and the company’s overarching vision. If you feel confident about doing so, you can also address some of the reservations hiring managers may have about your self-employment. While you don’t want to use too much precious space doing so, you can briefly state your reason for wanting to make the transition, and why you want to work for this particular company. Just make sure your reasons are centered on how you will utilize your transition to support the company. Ultimately, you should demonstrate how the skills you developed during your period of self-employment will make you an asset to your new role, and in turn, help you achieve company goals. You only get one chance to make a first impression–so, make sure you address your cover letter correctly. Follow our guide and learn how to craft the perfect cover letter greeting–with or without the hiring manager’s name. If you’re one of the millions of Americans who live with a medical issue or disability, chances are you’ve thought about whether to mention it on your job application. Is it better to advise an employer about your medical issues/disability your cover letter, or to hold off? First of all, medical issues shouldn’t be seen as a red flag. An increasing number of people live with medical issues or disabilities, and it is, in fact, illegal to discriminate against someone because of it. But does the prevalence of medical issues in the workforce mean that it’s advisable to inform employers about your medical issues in your cover letter? Despite the growing prevalence of people living with a disability or other medical issues, discrimination is still a very real problem facing many job seekers. For this reason, it’s best not to include any mention of it on a cover letter. In a perfect world, the onus wouldn’t be on employees to protect themselves against discrimination, but given that the business of hiring employees is so cut throat, it’s in your best interests to protect yourself. Furthermore, although it may not be your intention, some hiring managers may look at your inclusion of your medical issues as an attempt to make an emotional appeal to put yourself ahead. Do you really want to invite these possibilities before you’ve had the chance to meet them in person? You can always disclose your medical issues if you make it to the interview round, so there’s really no need to rush into it straight away. Know your rights! Under the Americans with Disabilities Act, you’re not required to say anything to a potential employer regarding your disability. This Act additionally prohibits unjustified discrimination based on disability, stating that “a qualified individual with a disability” shall not be discriminated against during the job application or hiring process. You’ve served your time and now all you want is a foot in the door. But you’re understandably worried that due to the stigma associated with having a criminal history, employers won’t give you a chance. While it’s important to be upfront—especially when you want to communicate how you’ve moved on from you past discretions—your cover letter is not the place to do so. It’s best not to mention your criminal history at all on your cover letter. Save it for the interview. Similarly to the approach of handling a termination, the ideal time to talk about your criminal history is in an interview. No matter how smartly you bring up your criminal history in a cover letter, once an employer or hiring manager sees any mention of criminal activities, they’re highly likely to swiftly push aside your application. Stigma is difficult to break, but not impossible by any means. The best chance you’ll give yourself is to address it in a face-to-face interview where you can better explain the situation. There’s no chance to develop a rapport through a cover letter like you can in an interview. If you get to the interview stage, you’ll be able to properly convey what happened and show how you’ve since grown from the experience. 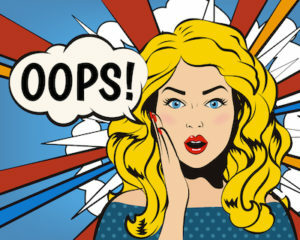 It sounds saccharine to say, however in our experience, most employers are reasonable folk willing to give you a chance so long as you address your so-called ‘red flags’ smartly. Even if you have a couple of blips on your resume, having an effective strategy for dealing with them will help remove any doubts over your application. Who knows, the way you handle your red flags could just be the ticket to push you through to the next round! Have you dealt with red flags when trying to apply for a job? How did you confront them? Let us know in the comments below, and feel free to use our state-of-the-art cover letter generator to create your own red-flag-free letter in minutes.